Best wishes to Ava Nealis. Ava is our out going exchange student. She is heading out on her journey tomorrow and making her way to her first host family in Denmark. 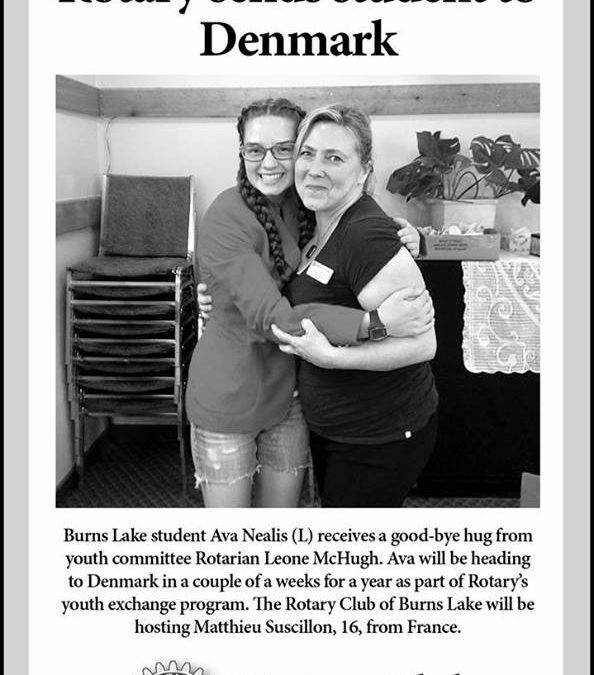 Wish Ava a safe and exciting year abroad and watch for her letters and comments about her experiences right here on the Rotary Club of Burns Lake FB page over following months.